One of the best kept secrets in all of salt water fly fishing is the Spinner Shark migration in late winter through early spring in. It happens in a place where you least expect it…West Palm & Fort Lauderdale, Florida. Really, we aren’t kidding. This is spring break for sharks. They migrate to the beaches off of Fort Lauderdale and West Palm Beach chasing fish (snook, blues and false albacore & other tuna species) that are breeding & feeding in the surf or just beyond the surf. You can sight fish for a 100+ lb. powerhouse in just 8 feet of water. Flyfishbonehead had so much fun that we went out twice in 2012, hooked 9 and landed 5 on our first trip and landed 5 of 6 on the second. Considering the fight and how hard it is to subdue this beast that was pretty darn good. The spinner is commonly found all over the world with very dense populations in the South Atlantic and Caribbean, Northern Australia and Indo-Pacific. 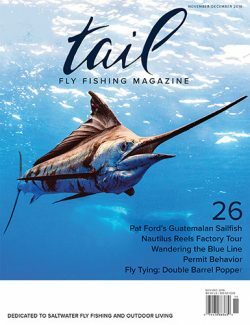 We focus on the West Palm fishery because frankly, it’s almost as good as Tarpon fishery in the Florida Keys when the worm hatch goes off. Spinner Sharks (Carcharhinus brevipinna) are often confused with black tip sharks and black tip reef sharks because they look so similar. They are a fast swimming, aggressive reef shark which normally feed in deeper waters away from public areas. They actually jump through the air spinning as they come out and dive back into the water. Depending on the height of the jump, they sometimes complete 12 complete 360 degree rotations before reentry. It’s truly an amazing thing to behold. There are different hypothesis as to why they spin as they leap. Some think they are shedding parasites and small fish that may have attached to them. Others think it is an elaborate method of trapping fish. They create a vortex as they approach a potential meal and cause it to not swim effectively. If the fish gets caught in the spiral of turbulent water it inevitably becomes shark food. We are not sure at flyfishbonehead because we see them jumping all the time, even when they are not chasing food. Flyboss had a 6 footer jump over the bow of his kayak in Biscayne Bay while he was sneaking up on some tarpon. Too bad the camera wasn’t on. How to fish for the Spinner….chum. All you have to do is create a chum slick and wait for them to come to you. They are scent hunters with poor vision so they rely on their incredible noses to find food. How we do it is bait and switch. We chum but we also have a chunk of fish on a spinner rod which is on a breakaway clamp on an outrigger kite. The guide will watch the bait and reel if a shark approaches the bait. Since it is on an outrigger kite, it pulls straight out of the water and we cast to where the bait was and the scent trail still is. The sharks sense the motion of the fly while picking up the scent of the bait which results in a monster strike and probably the most exhilarating strip set and hook up you will ever experience. This can be done for any species of shark as well with and without the kite. We frequently chum for shark at the tail end of a day on the flats, especially when there is a new angler or even an experienced angler who hasn’t had the experience of fighting a monster on a fly. Imagine the strip set on a 100 lb. powerhouse in shallow water and being well into your backing in about 10 seconds. It is indeed an incredible experience and what ensues is even more amazing. While you are trying to get a bearing on where the fish is going the captain is starting the boat so you can chase it down and get a few hundred feet of your backing back on the spool, it starts jumping out of the water because it knows something isn’t right. Talk about a challenge, keeping your balance while fighting a 100 lb. fish on a 10-12 weight rod while the captain is chasing it down. An adrenaline rush, definitely but also quite the fishing challenge. Spinners are really like tarpon with teeth. They run hard and can pull a 32 foot boat with ease, they jump and they spin. The key is respect the spin or they will off your line in no time. When the shark jumps with a tight line, nothing good can come of this. Too loose of a line is also a set up for disaster. Flyfishbonehead does not “bow to the king” as recommended by tarpon guides and we do quite well with tarpon. Same idea but the Spinner Shark is a completely different kind of aerial assault entirely. If you don’t give the Spinner the slack it needs when it leaps and attempts to twist your line around its body you will lose that battle every time and never land one. Bowing the rod tip makes your line go slack and therefore the 100 lb. spinning tube of muscle cannot wrap you tight and break you off. We bow to no one, except the Spinner Shark. There is no alternative and many times despite seeing the leap and giving the slack, the shark will break off. The fly does matter, but only minimally. They seem to like orange, pink and chartreuse flies that are big and gaudy. Shark flies are the “jersey shore” of fly fishing, loud obnoxious, and not very elegant. The patterns below are easy to tie and look great, but remember that one hook up and your fly is destroyed so have a bunch ready when you go. We used to use a lot of glue and epoxy to make them strong but the shark is a scent hunter and it didn’t seem to make a difference in fly survival. Some will soak their shark flies in the power bait recharge the night before a trip so the flies are scented and they chase them like live bait….it not cheating theoretically because you are throwing a fly, but it is not exactly honest either. We don’t really see the need to do this considering Spinner Sharks aren’t exactly shy. Fish Tales: Spinner Sharks are not considered game fish therefore records are not readily kept, we believe that many go unreported like the flyboss’ 110 pounder (50 kg) on 20 lb tippet. Current IGFA record on a fly is a 96 lb (~44 kg) catch on Marathon Key by Jake Eichler in 2008. In 2012 the flyfishbonehead gang caught and donated a 110 lb. Spinner Shark to a discovery channel crew that was filming the Spinner phenomenon during one of our two days of fishing. They never told us why they wanted the shark or what they did with it.